Even though we know regular exercise is essential to a healthy lifestyle, we still need to take extra care to ensure we don’t sustain any injuries. You might love going swimming, playing football with your friends or jogging around the lake, but sports injuries are all too common. These injuries can adversely affect your quality of life if severe. Fortunately, most minor sports injuries can be treated with relative ease. Modern advancements in the fields of medicine and podiatry can help you return to your former, healthy self. At Procare Podiatric Medicine and Surgery, our health professionals are trained to the highest standards. We strive to get you back on your feet again so you can enjoy the sports you love. Our sports podiatrist has worked with a broad range of athletes and can provide effective treatments ranging from foot surgery to orthotics. We can diagnose your problem with accuracy to ensure you receive the appropriate treatment for a speedy recovery. Sports injuries often affect the lower extremities, such as feet, knees and legs. It’s important to seek treatment right away to prevent problems from becoming worse. Below, this article takes a look at the five most common injuries in sport. 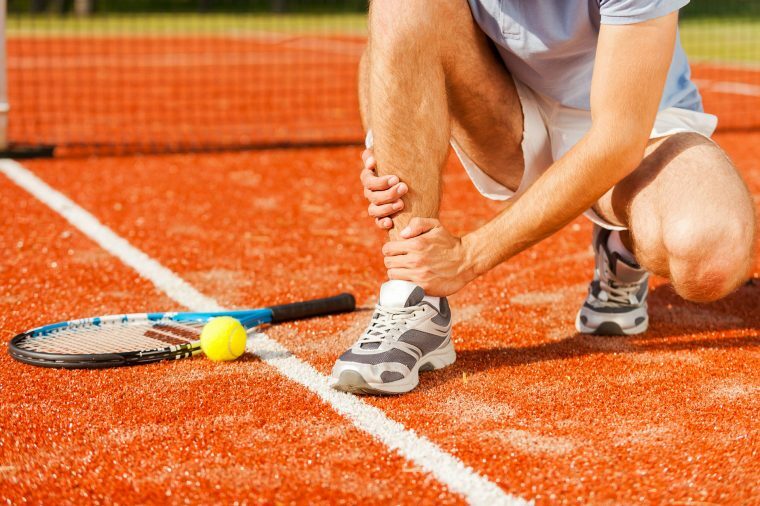 Three of the top five most common sports injuries directly affect the lower extremities. If you sustain any of the injuries below, you should contact us for treatment and advice right away. Sciatica — Sciatica is a common injury that results in pain running from your lower back to your legs. It’s most commonly a result of improper stretching. Sometimes, all it takes is ample rest to recover from sciatica, but it’s important to seek treatment if the pain in unbearable of you have any bulging disks in your back. Hamstring Strain — Your hamstring is made up of a group of three muscles and various tendons behind your knee. If you put too much strain on them and cause a tear, the resulting injury can be extremely painful. Oftentimes, it can take up to a year to fully recover from a hamstring strain, and you may need a sports podiatrist to recommend light exercises and provide other treatments. Golf Elbow — Approximately seven percent of sports injuries are sustained to the elbow. Golf elbow is usually caused due to the repetitive overarm movements required in the sports of tennis and golf. Shoulder Injuries — Shoulder sprains, tears and dislocations make up around 20 percent of sports injuries. Though minor injuries may heal with rest and anti-inflammatory drugs, more severe injuries need professional medical treatment. Patellofemoral Syndrome — Knee injuries make up around 55 percent of all sports injuries. These injuries often require a professional sports podiatrist to help put things right by accurately identifying the cause and subsequently providing effective treatment. Often this includes joint mobilisation or the strengthening and conditioning of the lower extremities. If you’ve suffered an injury as a result of playing your favourite sport, we’re here to help. The experts at Procare Podiatric Medicine and Surgery are friendly, experienced and professional, so contact us today to make an appointment.